Lainer Animal Hospital welcomes you! Does your vet provide you with the level of care and service you and your loved one deserve? Do you have access to state-of-the-art equipment and innovative treatment options? More importantly, are you and your animal companion treated with compassion, respect and individual attention every time you visit? If you answered no to any of these questions, we want to invite you to experience the difference Lainer Animal Hospital can make. You see, we believe that quality veterinary care begins with relationships. That’s why partnering with you and bonding with your pet are so important to us. We feel that when we place the needs of our patients first, the rest will naturally fall into place. Our personalized care is then enhanced by the comprehensive services we provide, ensuring that your pet will always receive the best of everything. If you’re looking for an experienced Canton or Stoughton area vet that you can rely on throughout the life of your pet, look no further. We’d love the opportunity to share our passion for people and pets with you! We’re confident that once you visit with us, you’ll never want to go anywhere else. Our doors are always open, so stop by any time! Please browse our website to learn more about our animal clinic and the services we provide for companion animals in Canton and the surrounding areas. Read information in our Pet Library, view videos, take a virtual tour of our veterinary hospital, read testimonials, and find details about upcoming events. 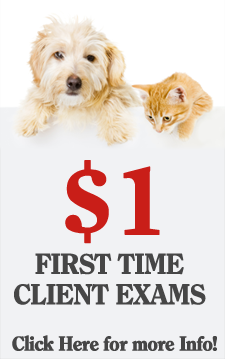 Please call our office today at (781)828-0101 for all your pet health care needs.